Money we don't pay in interest is an money that we can get working for us. Back in 2013 when I graduated pharmacy school and I was refinancing my loans, I initially looked into Sofi. But, it's been a few years since then and I wanted to find out who's currently the most competitive student loan broker in the market. That's how I found Credible. 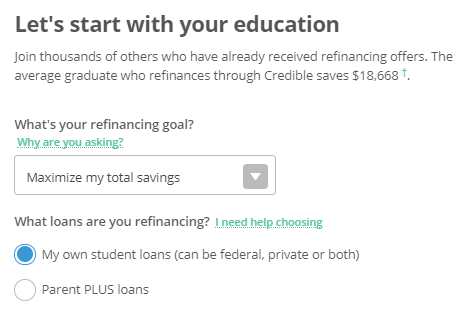 In my opinion, this is the best place to start when looking to refinance your student loans. Credible offers an incredibly solid and intuitive interface and platform that can match you with refinance companies based on your specific requirements. Here's my step-by-step process on how to get a loan with Credible, so you can see if it's right for you. First, go to Credible. You'll see a “Refinance My Loans” button, click on it. It's going to ask you for your email address and you'll need to set up a password. Next, you'll be asked to specify what type of loans you're refinancing. You can give both your federal and private loans. You can also include Parent PLUS loans! 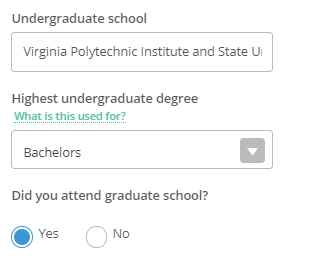 You'll be asked where you got your undergraduate degree and what degree you got. If you went to graduate school, you'll be asked the same information. Now you'll be asked for your total loan balance. I did a trial run just to see how this compared to where I was several years ago when I had $168,000 in debt. In addition to your loan information, you'll be asked some other financial questions so Credible can get an understanding of your financial lifestyle. For example, you'll be asked your monthly housing payment. I put $1,000. Next comes your annual income. Don't forget to include self-employment or business income from other household members. This may seem like a long process, but it really only takes a few minutes. 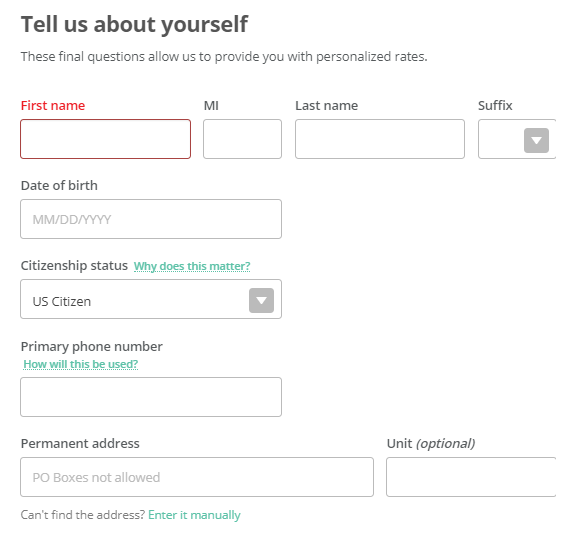 This basic information allows Credible to give you a more personalized rate. Finally, we get to the actual rates. It takes about 30-60 seconds to aggregate the results and then the rates will be ranked from low to high based on how many years it will take to pay off your loan. There are a huge variety of payment options–even up to a 25-year repayment period. For me, a 3.97% variable term of five was the best for me. But this left me with a whopping $3,111 a month payment for five years. Obviously that's a very short term and isn't necessarily the way that I would push you. I'm much more willing to pay a slightly higher rate in order to get a longer term. Don't get me wrong, I'm going to pay this thing off early but I don't want to be locked into that. And paying 3x my housing costs just for student loan debt doesn't sound ideal. So, I looked for something in the middle. I figured a 15-year term with a low rate was the best way to go. I found a 4.09% rate at $1,700 a month, which didn't sound terrible. But honestly, there isn't that much difference between the 20 and 25-year plan versus the 15-year plan. It's only a couple extra hundred dollars a month. So, for me, 15 years seemed like a sweet spot to lock in the best rate. Compared to what I was being offered three years ago when I refinanced, that rate is much better! Credible offered me a much better rate than I even expected. Plus, it was a quick and simple application. 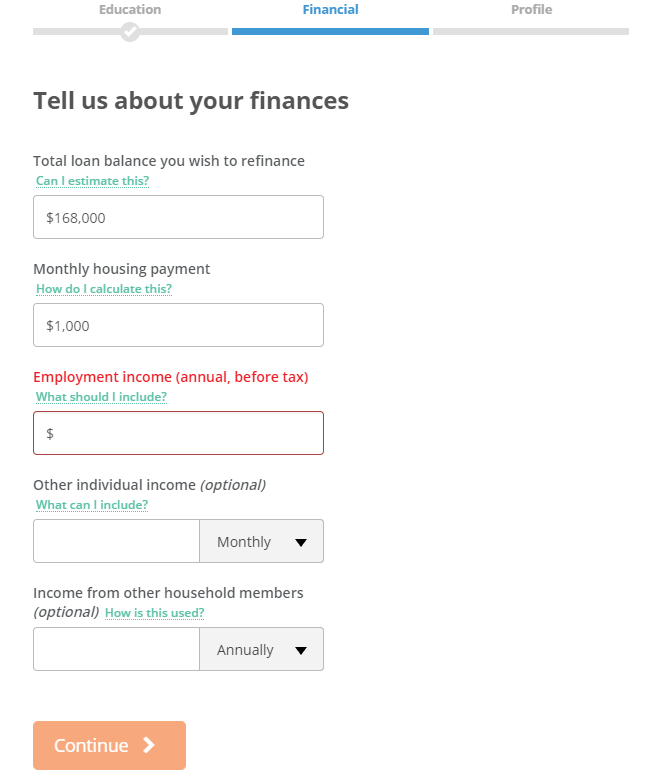 All you need to do is select your lender and answer the simple questions documented here. They make it easy to save your results, and if you don't feel like making a final decision, you can always come back to your results page. If you do pick a specific lender to go with, you will have to answer a few more of their questions, but again, it shouldn't be more than a few minutes. As much as I love the simplicity of consolidation, there are a few people that shouldn't refinance. Those looking into student loan forgiveness programs, should avoid refinancing. You'll want to keep as much money in those government programs as possible, or else it's not eligible for forgiveness. 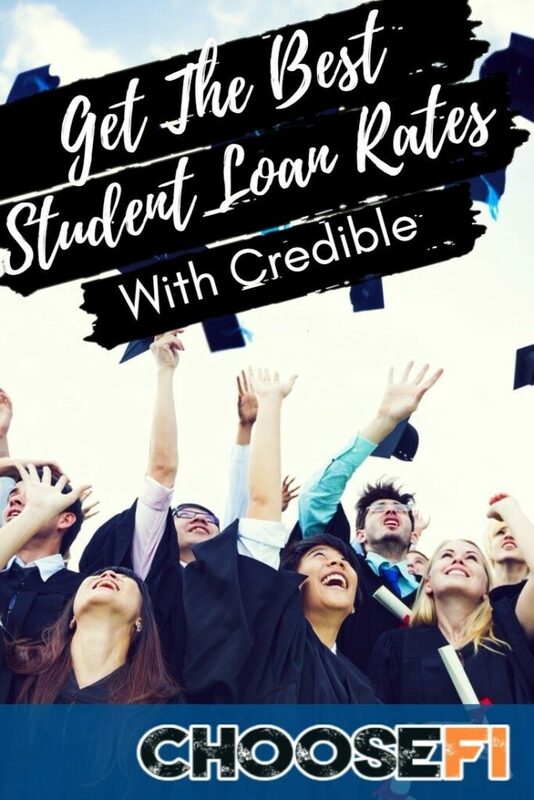 But, if you're like me and want to dig your way out of student loan debt faster, Credible is the place to go. It's absolutely a fantastic resource and I highly recommend it.